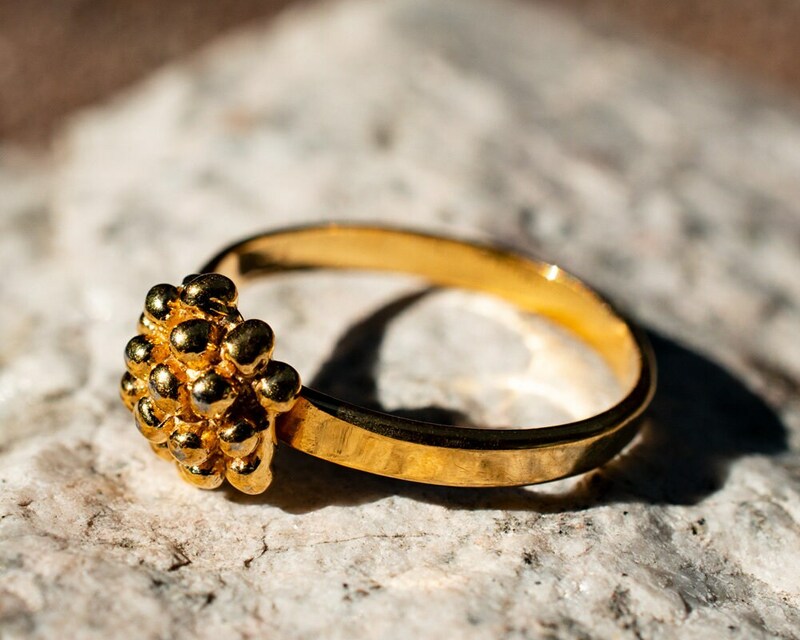 It all started when I captured the flowering bud of a vine outside my studio and froze it in time... over the years I've made a series of pieces using this flower bud. 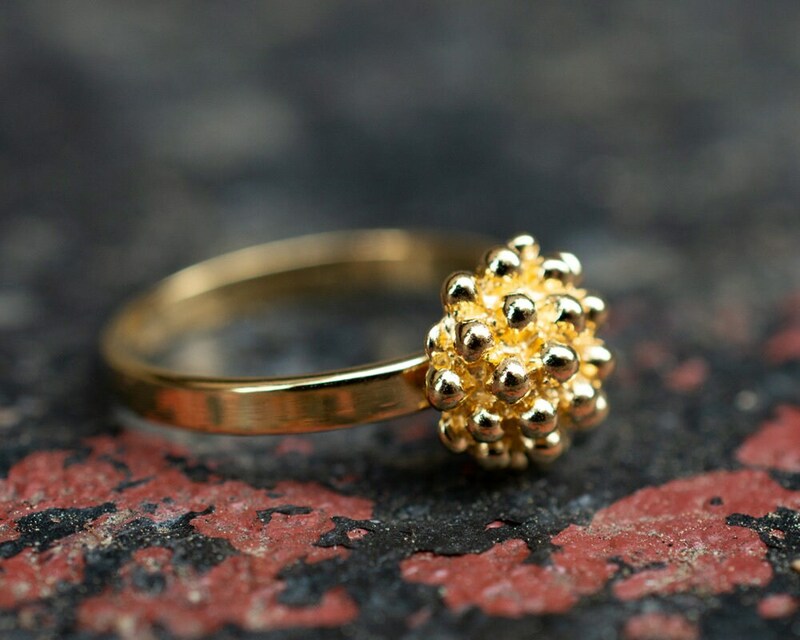 In this original design, the cluster of tiny buds becomes the focal point of the ring. 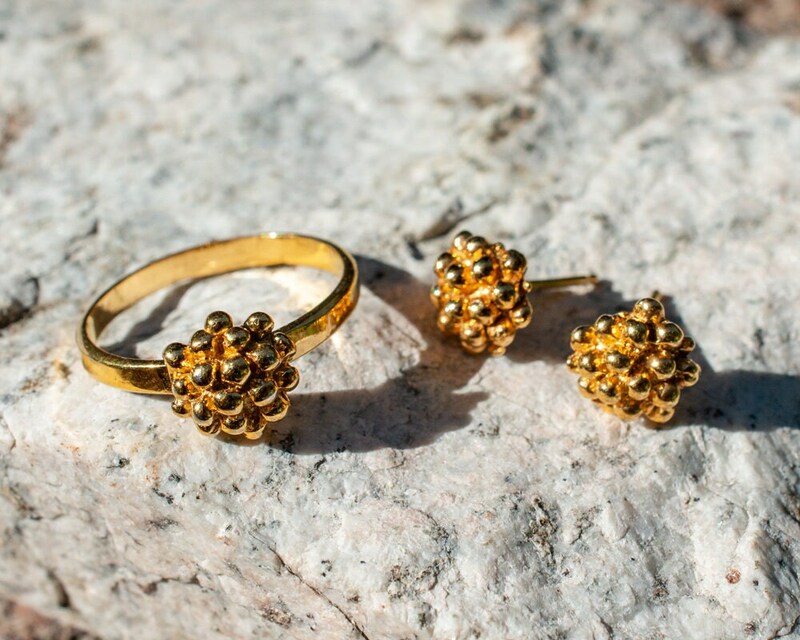 The sweet Flowerbud Ring is available in gold or silver. Please specify ring size when ordering.